We recently received the following review posted on Zillow which is a popular source for those researching Lake Tahoe real estate. No matter what we do, it’s coming across a review like this that makes all our efforts servicing the Lake Tahoe real estate industry so rewarding. Thank you Dr. Huynh. Your kind spirit will always have a place in our hearts. "Don and Theresa are great, they know the market and they know how to sell houses. 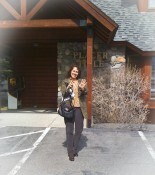 My North Upper Truckee home was only on the market 5 and 1/2 days when we received and a solid offer and went to escrow. They monitored the escrow closely, kept me on top of each update and managed to close the sale within 30 days.I recommend their services highly!Barbara Ruberto"